Fresh from our own kitchen, these creamy treats are hard to keep around. 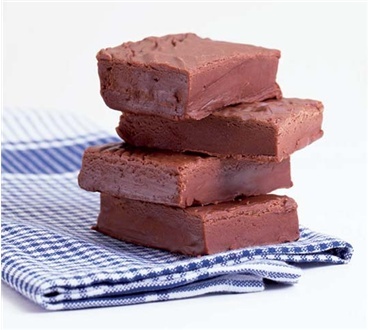 Seems like everybody always finds an excuse to visit our kitchen when we're making fudge. We do it the time-honored, slow stirring way: with lots of fresh Vermont butter, Pure Vermont Maple Syrup and select walnuts. Your choice of flavors - all guaranteed to please. Each box comes with its own plastic knife.